If you are a Home Seller in America – your head must be spinning. Everywhere you look is someone else giving you different information on the best ways to get you home sold. You will also come across hundreds of different AVMs also called Automated Valuation Models. These are the computer algorithms that attempt to provide your home’s current value. Then, of course, you have the CMA (current market analysis) of what your home is worth, which was done manually by a real estate agent. Lets make it worse, say you have interviewed 5 Realtors to list your home for sale, each of them have most likely given you a different value on your home. 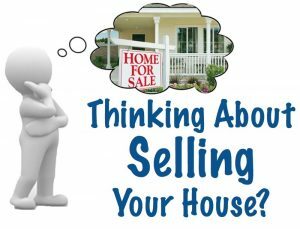 When taking in all of the information about selling your home, its important to keep in mind the bias of where you are getting that information. For instance, some real estate agents may go as far as to tell you your home is worth much more than it really is. This is to get the listing agreement signed; when you don’t see the number of offers you expected, they then tell you that the home may be overpriced for the market. If you are using one of those “get your home’s value” things that are automated, its important to remember that the valuation from those types of products do not take into consideration much of the uniqueness of your home. If you have not had many properties recently sold around your house, those algorithms will struggle getting you a true value. Another area of disparity when you are selling you home is the multitude of marketing options available to you. Depending on where you get your information, you may read that Home Staging is the #1 thing to get your home sold fast. You may come across an article that says how much more money you can sell you home for if you were to only use professional photos. If you speak to one Realtor, they will tell you that they are going to blast your property listing to thousands of the top real estate websites. Another says they are going to feature your home for sale in the local paper. Some will tell you that they will discount the commission you pay them while others claim that listing your home at an elevated commission attracts real estate agents to show your home. Truth is, there is NO silver bullet in selling your home. Let me take that back — there is a silver bullet…PRICE. If you want to sell your home in 24 hours, price it at 1/2 of the value. Wait…that doesn’t sound good to you? Then we better do A LOT of things right if you want to sell your home at a decent price in a relatively short period of time. As we stated, there is no silver bullet to sell your home. As a general rule of thumb, we will cover some FACTS about getting your home sold. Below are some FACTS about selling you home. Keep these in mind as you review all of your options. Not offering a competitive commission to the buying agent will diminish agents, representing buyers, from showing your home. Buyers are looking online. Notwithstanding very rural areas, most buyers are looking online for homes for sale. Professional Photos do work. Understanding that most home buyers are shopping online first, having professional real estate photos will show your home in the best light. Automated Valuations are NOT accurate. Unless you live in a subdivision that has a lot of homes that are extremely similar, and have a lot of recent sales, most automated valuation models will not be accurate in pricing you home. A real estate agents valuation will be substantially more accurate for a final selling price. Most Homes Sell Fast. It’s important to keep in mind that the majority of homes that get listed for sale in America do not make it to an act of sale. That being said, most of the homes that DO sell, sell within the first 45 days of getting listed. This means its important to price your home accurately at the time of listing. The strategy of pricing high and reducing over time simply does not work. People are generally interested in the newest listings. Homes that have been on the market for a long time get stigmatized. This is even more so in the age of the internet, where real estate statistics such as DOM (days on market) are easily available. You NEED an agent. Yes, we know…there is a cost to having a Realtor sell your home. Facts show that when listing your home FSBO – you substantially reduce the reach to potential buyers. Its important to remember that home buyers get represented by an agent for FREE. That means that 94% of home buyers will use a real estate agent. Understanding that, if an agent doesn’t make any commission on your home (its not listed with a agent and in the local MLS) they will do everything in their power to avoid showing your listing. The ONLY people trying to buy a home directly from an owner is attempting to “save the commission”. If you are listing the home to “save the commission” — how can BOTH people get that benefit? Generally, you end up with two people that are cheap – both trying to get an awesome deal. Those types of real estate transactions simply don’t make it to closing. Print Advertising is DEAD. With such a huge number of home buyers using real estate websites to search for homes, thinking that your advertisement in the newspaper is going to generate traffic is a pipe dream. The only person that benefits from real estate print advertising is the agent/broker. Having themselves advertised in the local paper attempts to show that they are a mover and shaker in the local real estate market. They are leveraging your home to get more sellers. We will be publishing a series on unbiased information for home sellers, so check back soon. If you are in the market for a new home, we provide valuable, non biased information to help you along. We provide accurate real estate state statistics from only the most reliable of sources so you can make informed decisions. Are You a Real Estate Expert? Become a Contribute If you have knowledge of real estate, we would like to hear from you.